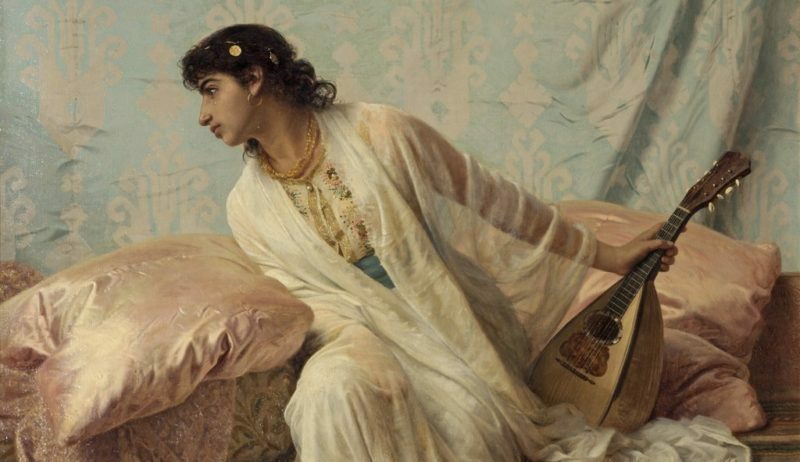 Edwin Longsden Long: Then to Her Listening Ear Responsive Chords Came Familiar, Sweet and Low (detail), 1881. Classical music is surrounded by a thick wall of brain activity: an extensive world of analysis and research; a history still being investigated in the remotest corners; an educational field rife with scholarly publications and manuals; a recording science capable of closely imitating the experience of live concerts; a record industry where millions (still) go round; a performance culture needing an army of impresarios, promoters, agents, and management staff at musical institutions; a music publishing business for old and new repertoire producing individual scores for orchestral and ensemble players; music magazines and their websites; a book publishing business with new literature for both the specialist and the interested layperson being produced every year. Amidst all of this, performers struggle with deadlines, occasional shopping expeditions, management pressures, babysitters, repertoire and its renewal, and travel schemes. When audiences innocently buy a ticket for a live concert, the façade of the art form’s rituals present a smooth, professional, and dignified experience. But behind the polished veneer, a storm of organizational mayhem navigates an emotional landscape shaped by the mountainous peaks of professional threats and the deep abysses of artistic insecurity. Where is the music in this labyrinth? Before the audience member has taken his seat, an army of professionals has been busy with things that have hardly anything to do with the music itself. 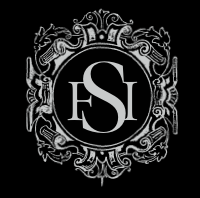 The result is that the presentation of a work of music is protected by the security of professionalism, which has made sure that the live event has been carefully prepared and that the thousands of notes on the paper of so many different parts will be produced with as much loyalty to the composer’s intentions as possible. But as soon as the music is played, it evaporates, like a ghost, leaving nothing but an impression upon the soul of the perceptive listener. All the concrete, busy activity leading up to the performance is not the music, but only its production apparatus, and it extends far beyond what happens in the concert hall – a massive undertaking by numerous people leading to an ephemeral acoustical rumbling and disappearing into the clatter of, hopefully, happy applause. Music thus seems to be entirely dependent upon things that are not musical, i.e. which fall outside the experience of performing and hearing a work of music. It is obvious why this is so: it is an art form which needs many supporting structures – different from the other arts. The painter can make do with a canvas, brushes, and paint; the poet – if he needs to – can get by with just pen and paper (– the computer is merely a luxurious extension of the basic needs). When the painter has finished his canvas, it is there for all to see, always the same artistic object, while the musical score waits until the supporting structure has absorbed it and translated its signs into the reality of music. What is music? It is neither the score nor the separate parts of the orchestral musicians nor the recording; it is the combination of air vibrations and their coherent perception in the human brain, which sorts out the internal relationships and sends their result deep into the listener’s emotional territory where the energy sources of the soul are pleasantly stirred – in case of a welcome reception – or the feathers of irritation are ruffled if the music crosses lines of expectations which had been drawn in protection of interior sensibilities. Neuroscience has explored the ways in which impulses are transformed into more or less logical patterns, but neither is this music. The brain functions like the letter box which makes reception of the post possible but does not impose its particulars upon the message. Is music a message? And if so, is it a language? Hundreds of books have been written on this subject, without much in the way of a conclusive result – i.e. a result which appears to be as valid for any one form of music as for any other. We can only say that music exists in the experience of hearing it, at the moment it is being played or when it is listened to in the form of a recording, which is the imitation of the real event. to no country and to no end. Our emotions are not some blurry, muddy pool of animal instincts, but can be as clear as any conscious awareness, as is sometimes demonstrated in dreams with complex imagery combining clear visuals with intense emotion. There are many traces of intelligence and order in the emotional field, which makes it possible to relate meaningfully to our consciousness. Western culture has made much of the intellect, of scientific development, of technology – all products of consciousness, which take distance from nature, intervene in it, and subject it to our needs, often to both our benefit and our disadvantage. But emotionally, Western civilization is often gravely underdeveloped, which is not difficult to notice. The cultivation of emotional perception lies at the heart of the arts, and it is partly due to this emotional underdevelopment that the establishments of new visual art and new music are so poor in emotional experience and often plainly primitive. Classical music however, written in times when emotional sensitivity was cultivated by artists as a normal part of life, thrives on emotional perceptivity and subtlety, and the erosion of its understanding that we see all around us points to a general erosion of sensibilities in human affairs. But this also means that learning to understand classical music contributes to the development of emotional perceptivity in general. It is in this capacity that classical music has also a social, developmental value important for the well-being of the community. Listening in such a way to classical music requires some exercise, whereby the listener has to be aware of his own conscious attitude. We all know the experience of sitting in a concert while our thoughts are dwelling on what happened during the day, on our worries, which will present themselves again, unadorned and full scale, on our way home, or on other thoughts which form a barrier between ourselves and the music which we have especially come to hear, but which we somehow cannot really relate to in the moment. This may be due to the type of music being played, but it is also due to our own mind set. In case of the latter, we deprive ourselves of the true meaning of a musical work if we cannot overcome, for the duration of the concert, our own private lives. After all, that is the reason we came to the concert at all: to engage in a sphere where daily life has been left behind, to refresh our experience of our inner Self and to let the music speak about us – be it in a real sense or in an aspirational sense, i.e. about the Self we could be if we developed a bit further along the line of spiritual evolution, so to speak. What happens if we listen to (classical) music in the right way? Music is a form of mathematics, which is a field of proportions and relationships based upon the proportions found everywhere in Nature. The human mind, being part of Nature, can grasp these proportions and relationships, not only materially, in real mathematics, but also aurally and emotionally. For instance, we have a built-in perception system which immediately picks up the relationships created by the tonal overtones upon which musical tonality is built. When we hear a dissonance which resolves itself into a consonance, it sounds like a tension being resolved or a “grating” sound gliding into an “even,” harmonious sound. We perceive immediately two different mathematical proportions without intervention of the intellect. The ear picks it up and the brain sorts it out and interprets the proportions, which create an emotional effect. In this way, we can hear “into” the music and “follow” all the different shifts of relationships which create a narrative that appears to take us along an imaginary journey through a non-existing landscape – non-existing in material reality, that is. But it does exist, in a very real way, in our inner realm, when we can open the doors of perception and we don’t let ourselves be distracted by ourselves. While all of this is a common experience of many concert goers, it is by no means a self-evident, trivial thing. The capacity to “enter” the imaginary landscape of the musical narrative – or to have the musical narrative take possession of our inner space, to say it differently – is what musical perception really means. We can call this “deep listening”: the alert attention which puts, for the duration of the concert, our ego and our intellect on a shelf, to be taken back at the cloakroom where we fortify ourselves again for the Real World, with our deepest identity confirmed and our hopes, however irrational, restored. What does all of this mean for the people working for music in the practical sense: management staff, concert agencies, promoters, academics, music journalists/critics, music publishers, book/magazine publishers, and the like? For them, it is easy to forget that “music” is not a product, an object to be “sold,” a vehicle for making money or advancing careers, or even a nice trick for marketing performers – it is a “thing in itself” with an intrinsic value. It is the reason that they have a job at all. The heart of their existence is an immaterial experience, which has to be born all the time because it is dying all the time – and to keep it alive, it is necessary to return again and again to the awareness of what it is, what will damage it, and what will force it into slavery and exploitation as a result of the pressures of practicality. Where music is treated as a commodity and the audience’s hunger for spiritual nourishment is exploited for gains which have nothing to do with the art form, music performance sinks to the level of prostitution and its meaning evaporates. So, all the brain activity which has led up to the musical experience disappears into the inner space of the music the moment all preparations have been fulfilled. And it is this inner space which justifies the common good which is concert life, in spite of the confusions and chaos and misunderstandings of the world around us. Let us try to train ourselves to lose our ego for the experience which will give it back in a way we could not imagine it without music.